Encyclopaedia Britannica (2005) states Ancient Greek is divided into Mycenaean Greek (14th–13th century BC) and Archaic and Classical Greek (8th–4th century BC), which date from the adoption of the alphabet. The development of five letters to signify vowel sounds was the principal innovation of the Greek alphabet. Modern Greek ‘could be considered’ to date from the 15th century and is of two kinds. One includes all the local dialects. The other is Standard Modern Greek, which is the official written and spoken language of Greece. Standard Modern Greek emerged from the convergence of two historical varieties of modern Greek - Demotic, which was understood by almost everyone; and Katharevousa, the ‘pure’, archaizing written language used in administration and other areas of public life. In 1976, Demotic was declared the official language of the state, replacing Katharevousa in government documents, newspapers and education. Pontic Greek is a dialect of the Greek language that is largely derived, like almost all the other modern Greek dialects, from the Koine (common) Greek of Hellenistic and Roman times (4th century BC – 4th century AD). It probably began to become markedly distinct from the rest of the modern Greek dialects after the Seljuk invasions of Asia Minor [in the 11th century AD], which split Pontus from the other regions of the Byzantine Empire. However, some older features of the Greek language that disappeared from other Greek dialects were retained in Pontic, while some innovations seem to have taken place in Pontic under the influence of other Greek dialects even after the medieval period. In its vocabulary, Pontic has been influenced by Persian and Caucasian languages, and in recent centuries it has taken on a large number of loanwords from Turkish. … it has been fascinating to compare the vocabulary and grammar of Çoruh, as he [Asan] records them, with the linguistic material that I and others have collected from other villages in the Of district and from other parts of Pontus both before and after 1922. The variety in vocabulary and grammar between one village and another just a few miles away is extraordinary, and we would ideally like to have such a study of every Greek-speaking village in Pontus. it was in the Greek language [Pontic Greek] that the inhabitants of the Solaki Valley [near Of] (apart from the late comers) were introduced to Islam and in which the imams in question were educated. … Actually, there is no more natural and logical a way of learning any sort of unfamiliar thought, doctrine or religion than through the mother tongue. … Of the various Greek dialects in existence at the present day, Trabzon Greek, the language closest to ancient Greek … has been sacrificed to religious, national and political intrigue and impotence. Although there is no prohibition of any kind in place, Trabzon Greek, labelled by religious bigots as a ‘giaour’ [outside the Islamic faith] language, by nationalists as an ‘enemy’ language and by bureaucrats and politicians as a ‘separatist’ language, has the misfortune of being listed at the head of merely local, not national, languages. Asan’s (1996) ‘courageous’ work in Turkish on the culture of a minority group has been criticised in Turkey, where the government prefers to pasteurise its cultural past. Asan should be congratulated, not condemned for his work. We should all embrace and respect our cultural diversity as an essential part of our identity. Bortone (2009) states Muslim Pontic Greek spoken around the villages of Of, has no history, especially for its speakers. 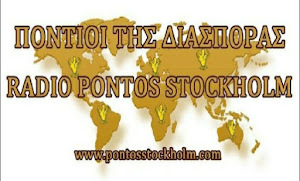 They have no written records and many of their speakers do not even know that the language is related to Greek. Some do not know which parts of their speech is Turkish and which is their local ‘other language’. Many call it Romayka, but never Pondiaká or Eliniká. Romayka is not formally taught and has no standard of any kind. … we would do well to emphasize the archaic nature of Romayka, if only because of the implicit irony: its archaic character is due to the very fact that Romayka has been isolated from the Greek tradition. In schools, it was agreed that the children should be taught demotic Greek, but for the instruction of the masses it was thought best to use both dialects - in newspapers, pamphlets and various other publications. This important decision was taken … on 10 May 1926. Bortone, P 2009, ‘Greek with no models, history, or standard: Muslim Pontic Greek’, in Standard languages and language standards: Greek, past and present, (eds) A. Georgakopoulou and M. Silk, Publication 12 of the Centre for Hellenic Studies, King’s College London, Ashgate, Surrey UK, pp. 67-89. Dawkins, RM 1937, ‘The Pontic dialect of modern Greek in Asia Minor and Russia’, Transactions of the Philological Society, pp. 15-52. Drettas, G 1999, ‘To ελληνο-ποντιακó διαλεκτικó σύνολο’, [in Greek] in Χριστίδης, A.-Φ. et al. (eds) Διαλεκτικοί θύλακοι της ελληνικής γλώσσας, Athens, pp. 15-24. Hatzidakis, 1930, ‘Einiges über das pontische Griechisch’, [in German] Byzantinisch-Neugriechische Jahrbücher, no. 7, pp. 383-7. Joseph, BD 2003, ‘Some reflections on Greek in a Slavic context, in both academia and the real world, with an overview of Greek in the former Soviet Union’, in Balkan and Slavic Linguistics, in Honour of the 40th Anniversary of the Department of Slavic and east European Languages and Literatures (Ohio State Working papers in Slavic Studies 2) ed. by D. Collins & A. Sims (2003), Columbus Ohio State University, pp. 93-101. Karpozilos, A 1999, ‘The Greeks in Russia’, in The Greek Diaspora in the twentieth century, (ed. Clogg), St Martins Press, New York, pp. 137-57. Mackridge, P 1991, ‘The Pontic dialect: a corrupt version of ancient Greek?’, Journal of Refugee Studies, vol. 4, no. 4, pp. 335-9. 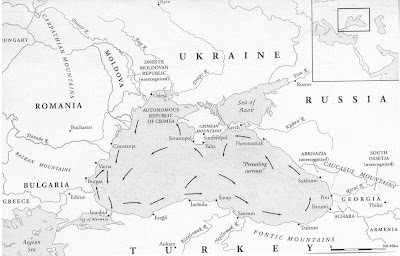 Sergievsky, 1934, ‘The Mariupol Greek dialects: an attempt at a brief description’, Bulletin de l’ Académie des Sciences de l’ U.R.S.S., Classe des sciences sociales, no. 7. Topalidis, S 2007, A Pontic Greek History, Canberra, Australia. (Available by emailing author at: sam.topalidis@bigpond.com). very useful post. I would love to follow you on twitter. By the way, did any one learn that some chinese hacker had hacked twitter yesterday again.